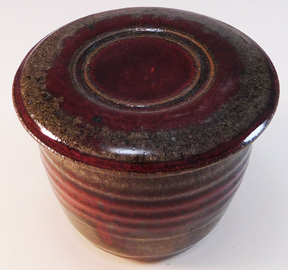 Made with stoneware clay this butter dish has a light gray braking to red. Only one available. 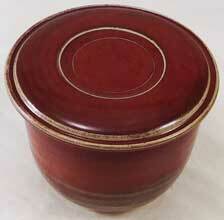 Made with porcelain clay this butter dish has a copper red glaze braking to jade green. Only one available. 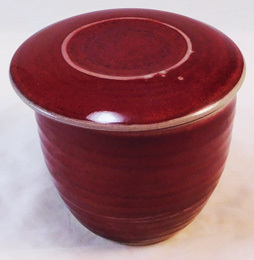 Made with high iron stoneware clay this butter dish has the same reduction fired copper red glaze as #1 only on high iron stoneware. 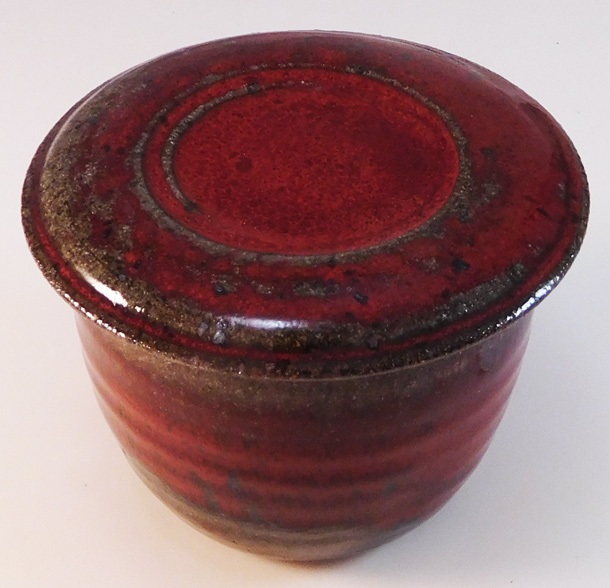 It is stoney mossy green turning to stony red where the glaze is thickest. Only one available. 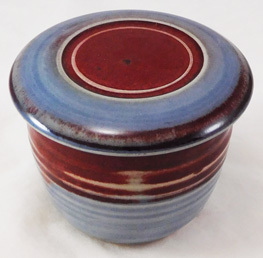 Made with porcelain clay this butter dish has a dark sea blue glaze with red in the center of the lid and pink at the top of the base. Only one available. 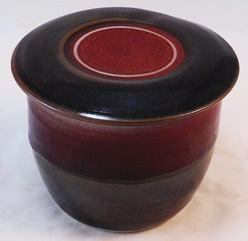 Made with porcelain clay this butter dish has blue glaze with red in the center of the lid and red/purple at the top of the base. Only one available. 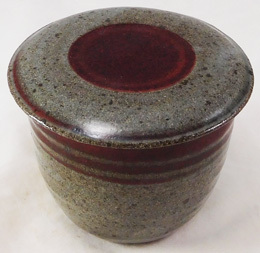 Made with porcelain clay this butter dish has a mottled dark black/brown glaze with red in the center of the lid and red braking to gray and mossy green at the top of the base. Only one available. 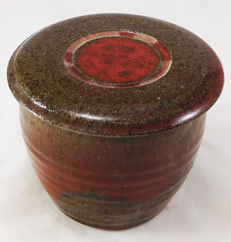 Made out of high iron stoneware this butter dish has a mottled stony gray glaze with red in the center and rim of the lid and top of the base. Only one available.